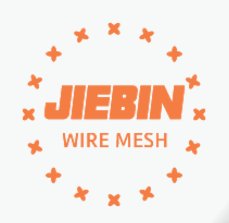 Product categories of Cut Wire, we are specialized manufacturers from China, Cut Wire, Cut Stainless Steel Wire suppliers/factory, wholesale high-quality products of Cutting Steel Wire R & D and manufacturing, we have the perfect after-sales service and technical support. Look forward to your cooperation! Straight Cut Wire is made of Galvanized Iron Wire straightened then cut into pieces of various length according to clients' requirement. Galvanized Straight Cut Wire is a kind of Tie Wire made with Iron Wire cutting to certain sizes after being straightened. Wire materials for High Quality Cut Wire: bright iron wire, Black Annealed Wire, electric galvanized wire, Stainless Steel Wire, PVC coated iron wire or painted iron wire. Usage of Stainless Stee Cutl Wire: It is easy for transport and handle, finds popular application in construction, handicrafts or daily use. We also supply tie wire in coils and other forms.